How could Bank of America promote its Cash Rewards credit card during the holiday season? With the holiday shopping hustle heading into full swing, Bank of America wanted to promote the benefits of its Cash Rewards credit card. So we launched a :30 TV spot told through the eyes of a young boy, bored while holiday shopping with his parents. As the story unfolds, we see his imagination take over and magically transform his parents into the toys on his wish list. 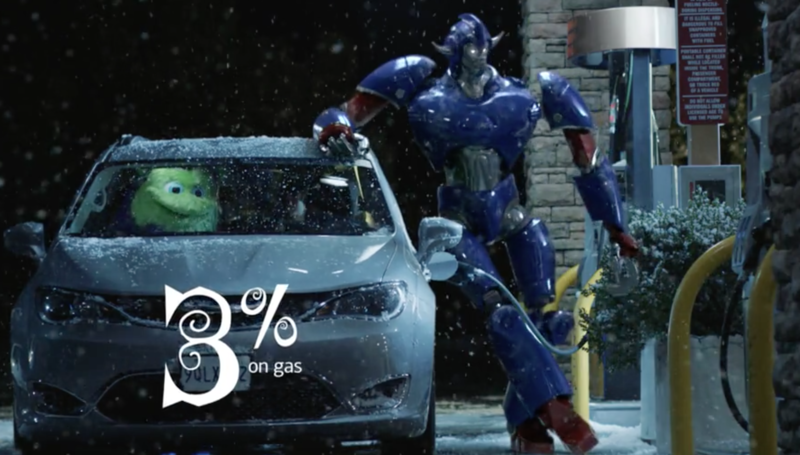 Using a magical holiday tone, the spot highlights the cash back perks you earn when you have a BankAmericard Cash Rewards™ credit card — 1% cash back on all purchases, 2% at grocery stores and wholesale clubs, and 3% on gas. Our “Magic Parents” TV spot illuminates how families can be rewarded for everyday purchases, and apply cash back benefits to holiday budgets to make it an even more joy-filled season.